Somehow last year I ended up on the Simple Green Smoothies Instagram account, and I don’t remember how I got there. 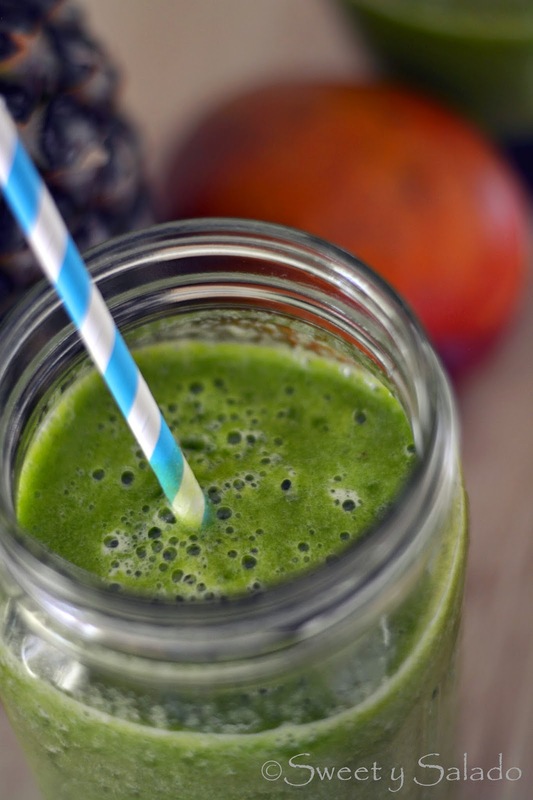 I think someone I follow posted a photo of a delicious green smothie they had made and it really caught my attention. A couple of weeks later I decided to try their beginner’s recipe to see if I liked it, and honestly, I didn’t, because I loved it. Since then, I have made several of the recipes from their website and I haven’t been disappointed yet, from the recipes that use coconut water and almond milk, to the ones made with pumpkin puree and dates. Eating vegetables is an easy thing for me to do because I simply love them, where I do fail the most, however, is by not adding more fruit to my diet, I just really don’t like it unless it’s served with lots of whipped cream or in a delicious dessert. That’s why making these green smoothies is perfect for me, this way I can have a nice serving of fruit every day. 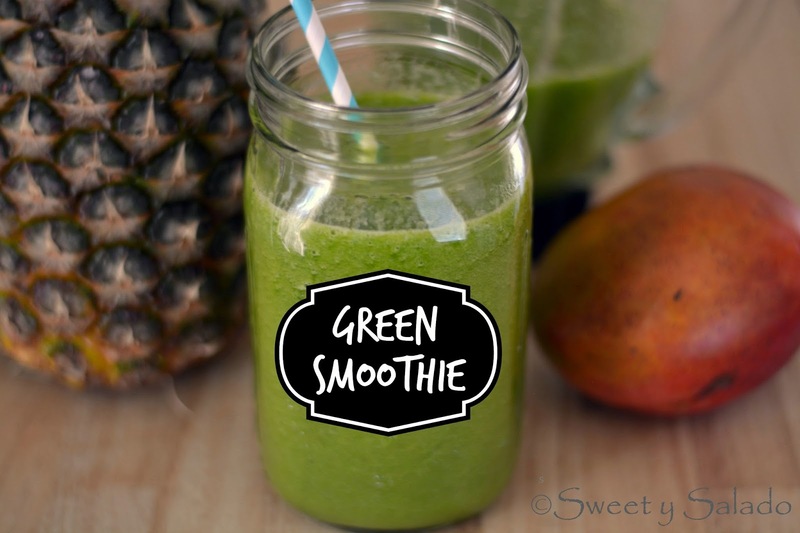 These green smoothies are mainly to add more vitamins and minerals to your body and not necessarily used as meal replacements, but if you do use them as a meal replacement all you have to do is add a little bit of protein when you make them. The recipe makes two servings and if you want you can drink one in the morning and one in the afternoon. 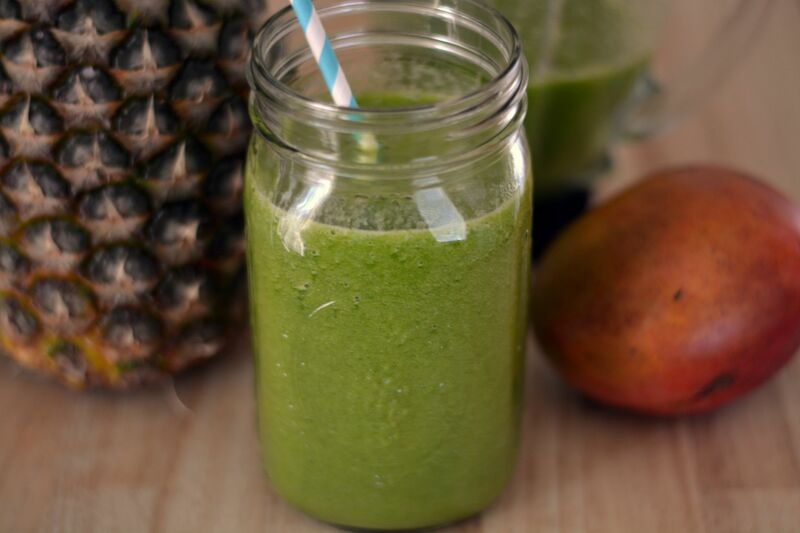 If you want to see more free recipes to make all kinds of delicious green smoothies you can visit their site at Simplegreensmoothies .com and also check out their Instagram page. Blend spinach and water really well. Then, add mango, pineapple and bananas and blend again until smooth. You can freeze your bananas once they ripen, this way your smoothies will come out nice and cold. Most green drinks put exact amounts of each ingredient so I know how to compare Green drink and choose what is best for me. The one I’m taking – I'm just hoping that it's better.